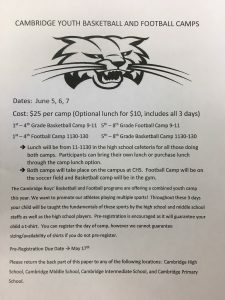 This summer, Bobcat Football and Basketball are teaming up to sponsor a three day youth camp for ALL students 1st-8th grade. 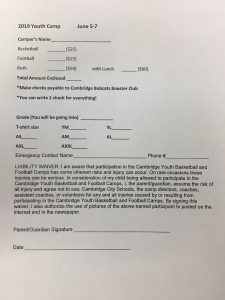 The camp, which will be held at Cambridge High School, will begin June 5th and end June 7th. Coach Josh Lowery (football) and Coach Andy Slaughter (basketball) will be dividing up participants by grade into two morning sessions. Students attending the camp will be able to select both basketball and football sessions. 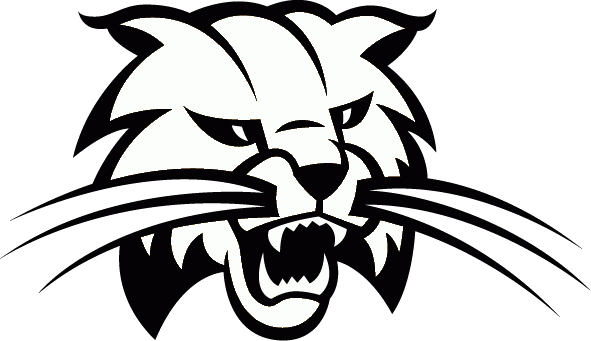 Cost is $25 per camp (football/basketball) with an optional lunch all three days for an additional $10. Each participant will receive individualized instruction from current coaching staff members as well as a camp t-shirt. Please contact Coaches Lowery (josh.lowery@cambridgecityschools.org) or Slaughter (andy.slaughter@cambridgecityschools.org) with any questions.